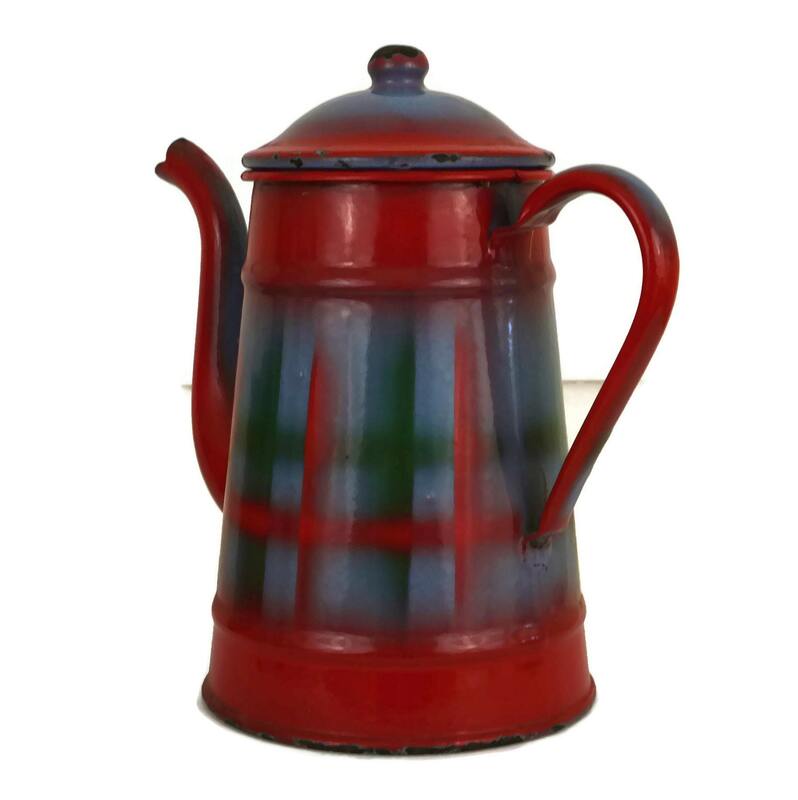 A charming antique French enamel coffee pot dating from the early 1900's. 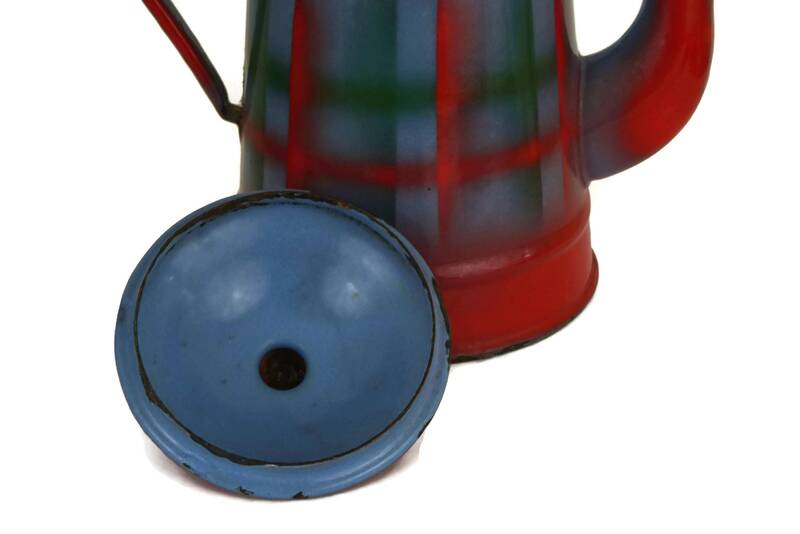 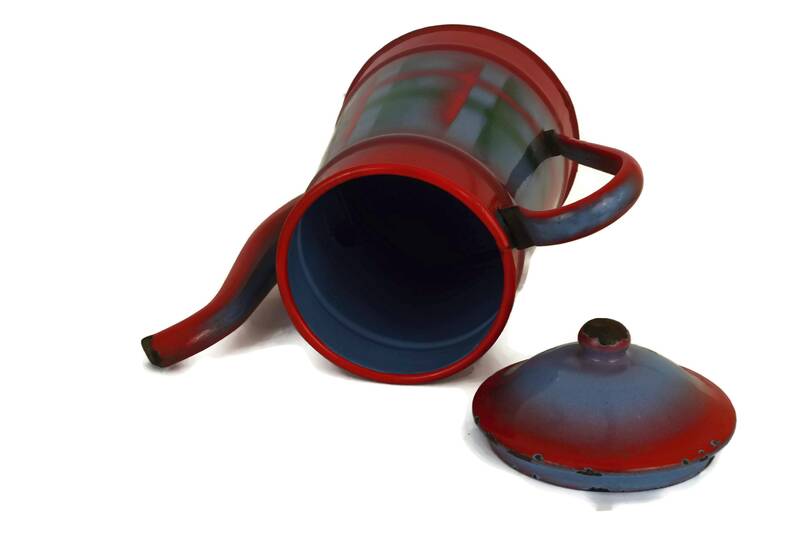 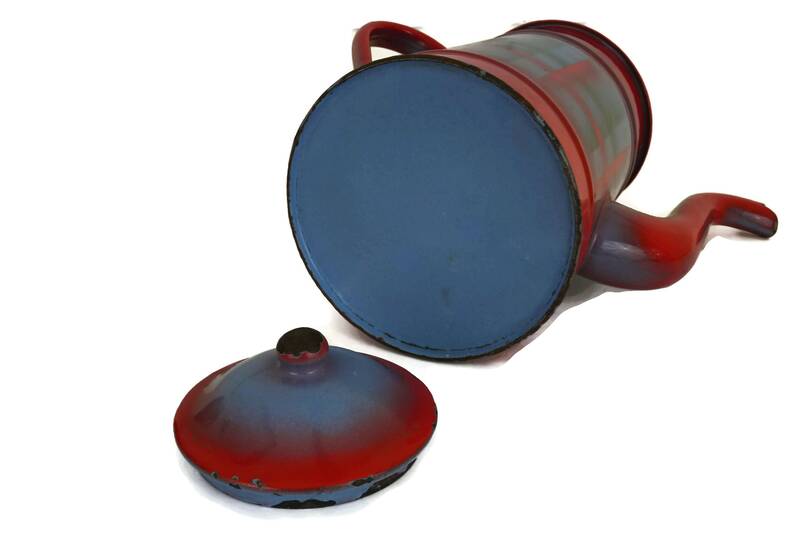 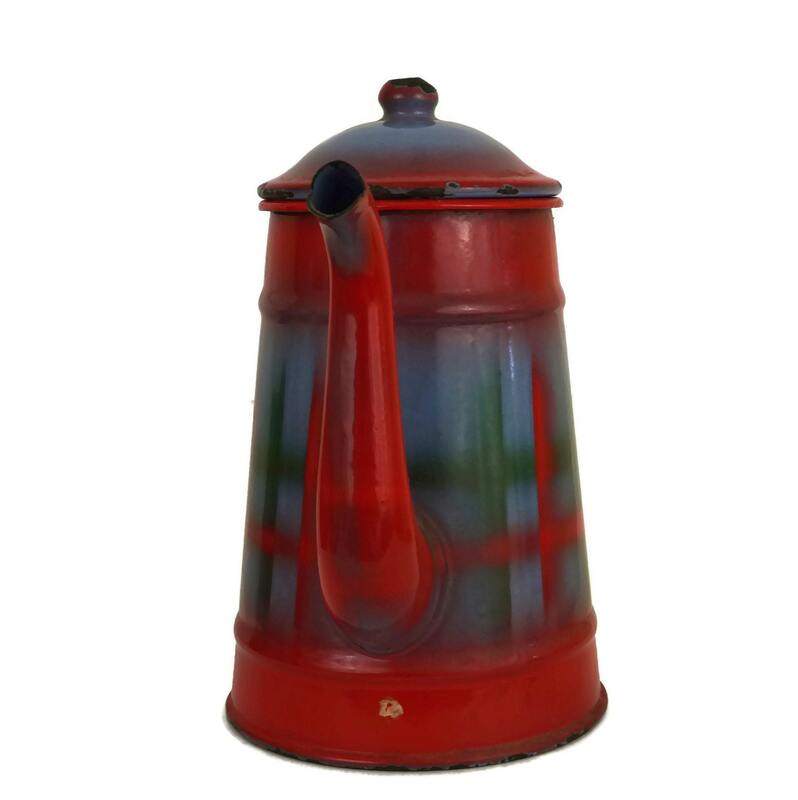 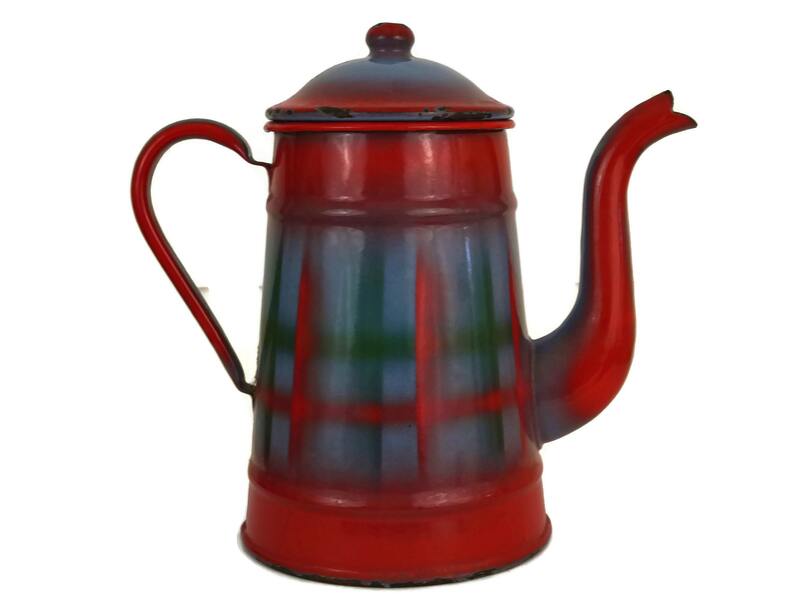 The enamelware coffee pot has been decorated in classic red and blue plaid pattern. 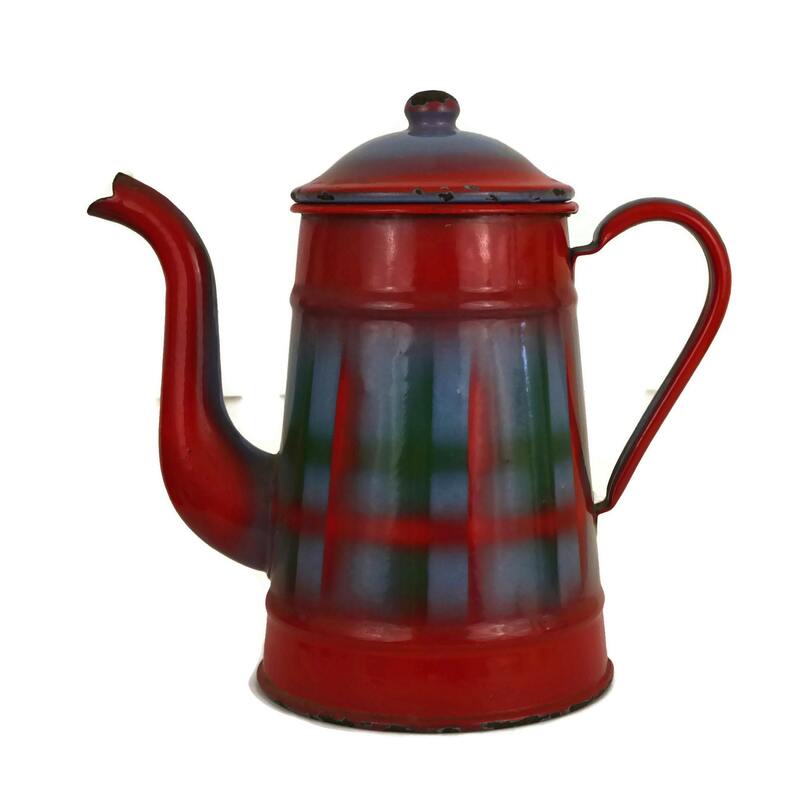 The coffee pot is filled with rustic charm and is certain to add an authentic French touch to your country kitchen decor. 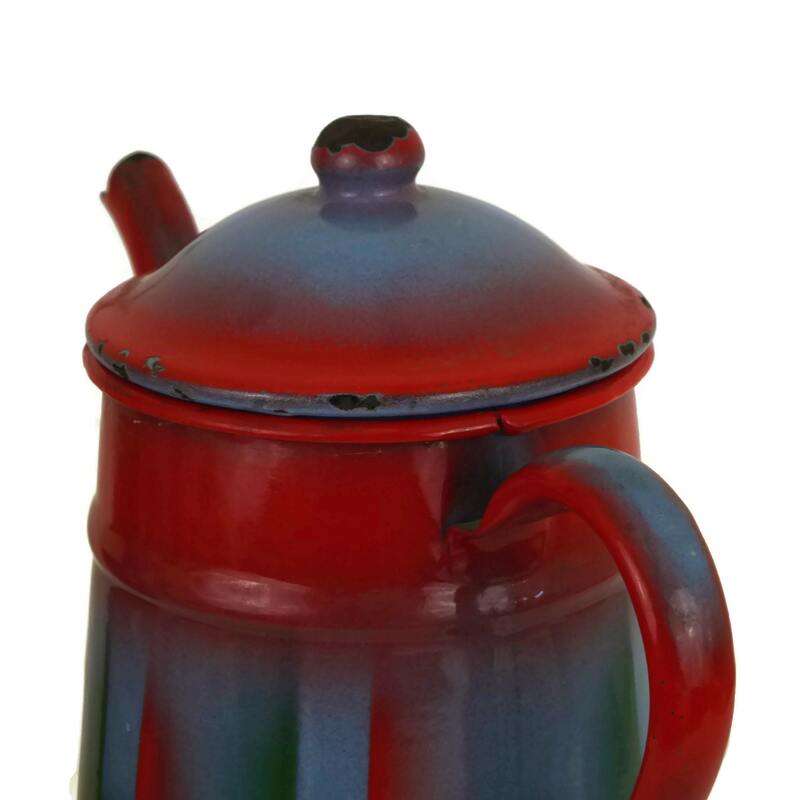 9" Tall x 5" Wide. 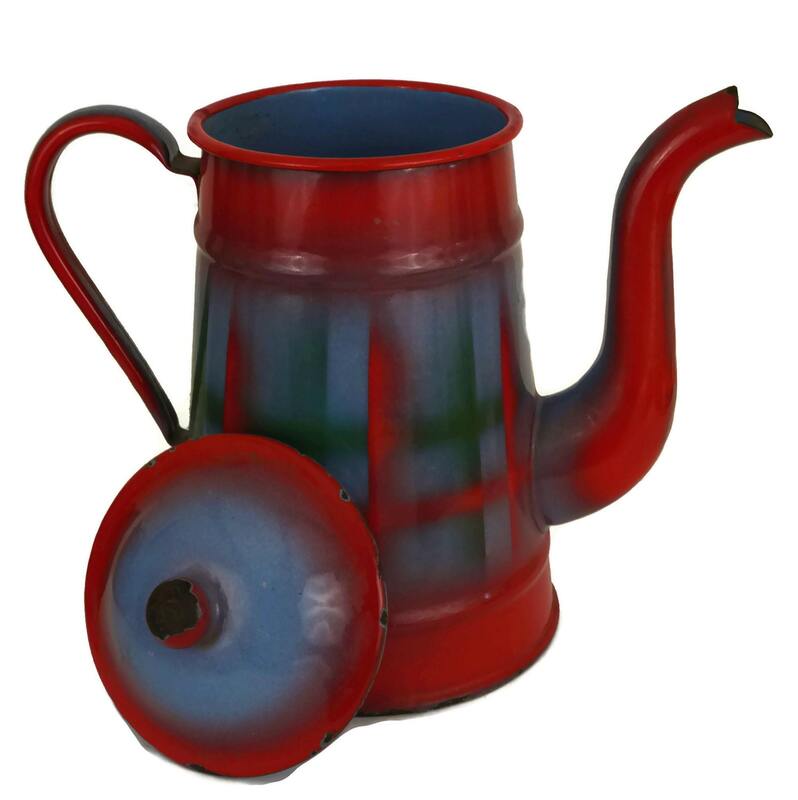 (23 cm x 13 cm). 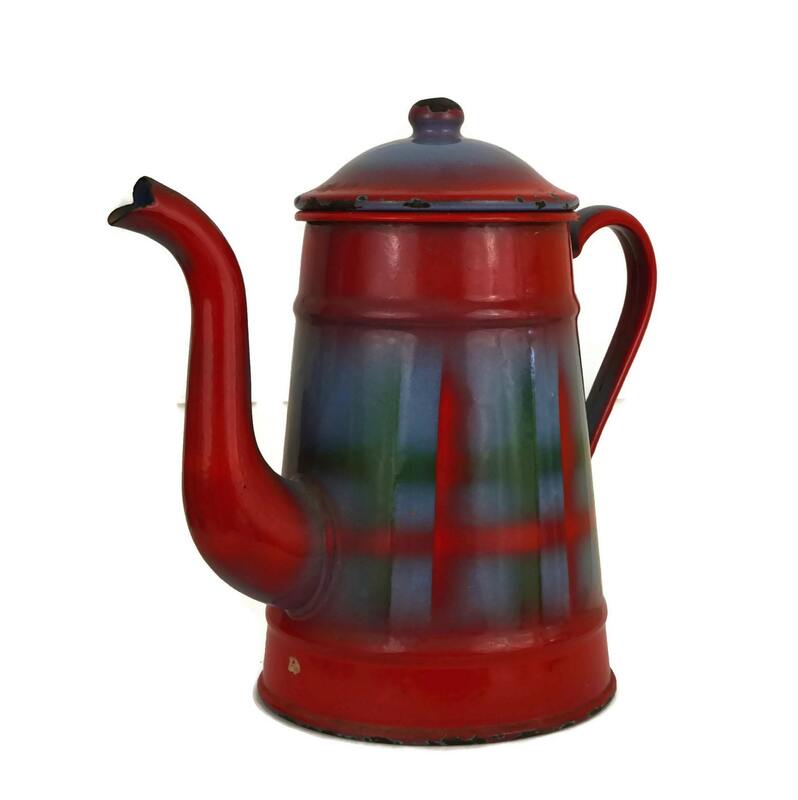 The French coffee pot is in good antique condition with signs of age and wear including surface marks, patina & chips to the enamelware in places.